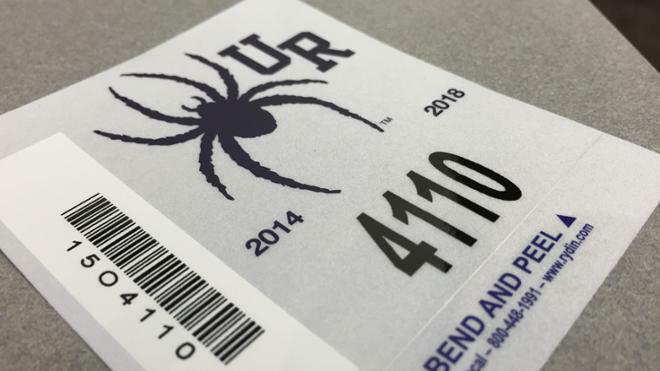 The University of Richmond Parking Services provides safe, convenient, and accessible parking for the faculty, staff, students, and visitors of the University. New Transportation Options to begin in July 2nd. Transportation Services now offering airport, bus and train shuttles on Monday, January 15th. On Tuesday, 11/21/17, Parking and Transportation will close at 4pm for the Thanksgiving Holiday. Regular hours resume Mon., 11/27 at 8:30am. 11/20/17. Students leaving their vehicle on campus over the Thanksgiving break should leave it in its assigned parking lot. Our office will be close this Monday, May 29 and will reopen on Tuesday, May 30 at 8:30 am. Have a safe Memorial Day! Parking regulations are in effect the entire year, including the summer. Students can only park in STUDENT parking lots during the summer. If you plan on leaving your car on campus over the summer, make SURE to fill out the summer parking form on our website. Interested in winning a $50 Visa Gift? Download the DoubleMap app and answer the riddles next week for a chance to win! Parking Employees are the only people that can answer questions about Parking on campus! The Daily Connector will not go to or from Carytown on Saturday 12/10 at the 11:00am run and 4:00pm run due to Break Shuttles. FYI: The transportation hub will be moving to the Special Programs Building until January 2017. Basketball season is here so don't forget to check your emails for information about lot closures! Thanksgiving Break is in a few weeks, don't forget to register for a break shuttle if you're going home! Registration for the 2016-17 is well underway! We are now in Phase C construction which closes the Gateway entrance to campus. Please drive carefully. Many stop lights in the surrounding community are out. Treat 4-way intersections as a 4 way stop. Be cautious! Recent graduates are NOT considered visitors until their permits expire in August 2016. The road area near Tyler Haynes Commons overpass is not accessible at this time. Pleas find alternate traffic routes. Students with permits from the fall or spring of this year are still active through August. Beach week is coming up, check your email for details about leaving your car on campus! We've just updated our registration forms for next year. They are coming in but won't be processed until late July 2016. Incoming and outgoing traffic will be diverted to the Gateway Entrance from Towana Road and UR Drive Entrance from River Road. BOATWRIGHT DRIVE IS CLOSED INDEFINITELY FROM THREE CHOPT ROAD TO CAMPUS DRIVE. Please expect delays. At this time all commuter parking in lots R8, R10 (B-School Lot), and B6 (X LOT) are full. #WinterParkingTips #WinterizeYourVehicle. Top up fluids. Gas up. Check tire pressure and battery levels. DMV To Go will be on campus today from 9-4p in the University Forum! Full service DMV services are available. Lots B3 - B7 will be closed on TODAY, Dec 22nd & Jan 2nd for basketball games. No parking will be allowed 2 hours prior to the game. Parking lot W41 (chapel lot) will be closed over break for construction. Please move your vehicle! If you plan on leaving your vehicle on campus over break please contact our office before you leave! If you are remaining on campus over break, summer parking regulations will be in place. This regulation will be in place from 11/25-11/27. If you are leaving your car on campus over the break, all students must park their vehicle in their assigned parking lot. Robins Ctr Parking Lots Closed, Fri, Nov 13th @ 5pm, 2 hours before the men's basketball game. Visit, https://t.co/r2rCiHUNt4 for more info. Richmond way will be a no parking area.